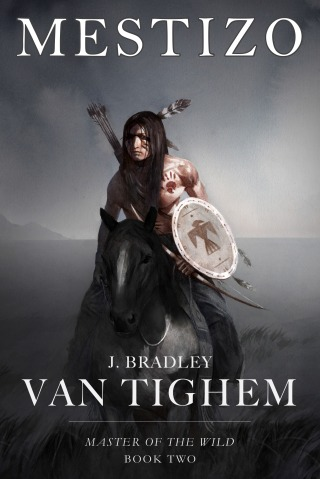 J. Bradley Van Tighem was born and raised in California, a sixth-generation Californian. He is an avid nature buff, especially fond of birds of prey and reptiles. 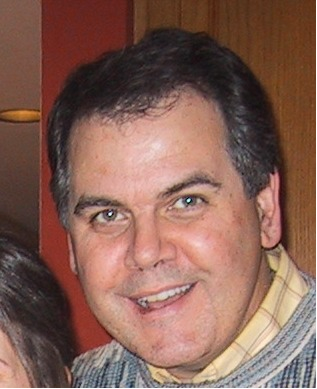 He dabbled in falconry for several years, but realized he couldn’t dedicate enough time to it with a full-time job as a Java programmer and two sports-loving teenage boys. He hopes to follow-up “Puha” and “Mestizo” with the third installment of the series entitled “Tejano”. Many Wolves, a 12-year-old boy adopted by Lipan Apaches, is haunted by memories of mounted men with painted faces killing his white-skinned parents. When Laughing Crow, the powerful leader of the Nokoni Comanche band responsible for the killings, discovers his Lipan village and asks for the white-skinned boy in exchange for peace, Many Wolves flees. In the harsh desert wilderness, nourished by the salty waters of the Pecos River, he learns to survive alone with his trained wolf hawks. Five years later, the Nokoni leader’s son is killed by a Lipan arrow, which sets Laughing Crow on a trail of blood and vengeance. Many Wolves, now hardened by nature and empowered with a gift to walk with the spirits of his animals, is forced out of seclusion to confront his nightmare and protect his Lipan village. 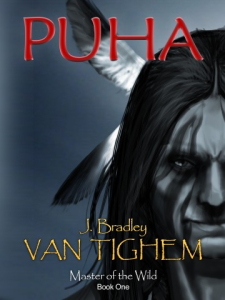 Puha, the Comanche word for “spiritual power,” is an unconventional western story set in the late 1700s, before Texas was settled with Colt revolvers and Winchester rifles: a time when vast herds of buffalo roamed the Southern Plains, grizzly bears and wolves thrived, and the Comanche rode unchallenged on painted ponies. Independent Publisher (IPPY) Bronze Medal Winner for Best Regional E-Book – West of the Mississippi in 2014.
along the Pecos River. It’s a place where few men could survive, yet he has thrived with the help of his trained hawk and wolf. Now Laughing Crow’s son, Thorn Bird, is hell-bent on finding Many Wolves. 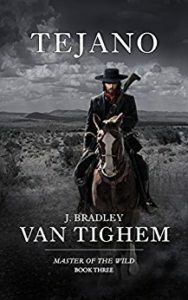 Thorn Bird has asked the enigmatic warrior Malone to help him find the elusive white-skinned man with the strange animal magic. Together—and with the assistance of Thorn Bird’s new Mexican friends, led by the amiable Paco—they hope to find Many Wolves… and kill him. Many Wolves and his wilderness village have enjoyed fifteen winters of peace and prosperity since Thorn Bird’s war. Now, a new enemy threatens to take the buffalo lands away from the Penateka people. His name is Captain James McCord, but he is widely known as Lead Fingers throughout Comancheria. The Penateka and Nokoni Comanches have reunited after many winters of unrest to fight this common enemy and have asked Many Wolves, and his friend Malone, to fight at their side. During a peace talk, Many Wolves meets a mysterious man named the Green-Eyed Coyote who comes from the lands in the south. Why is he staring at me?